Curiosity got the best of me during my first outing this Spring to our nearby Little Buffalo Pennsylvania State Park. I had gone there on a partly cloudy day that promised to have warmer temperatures than what we’ve been used to in search of bloodroot. 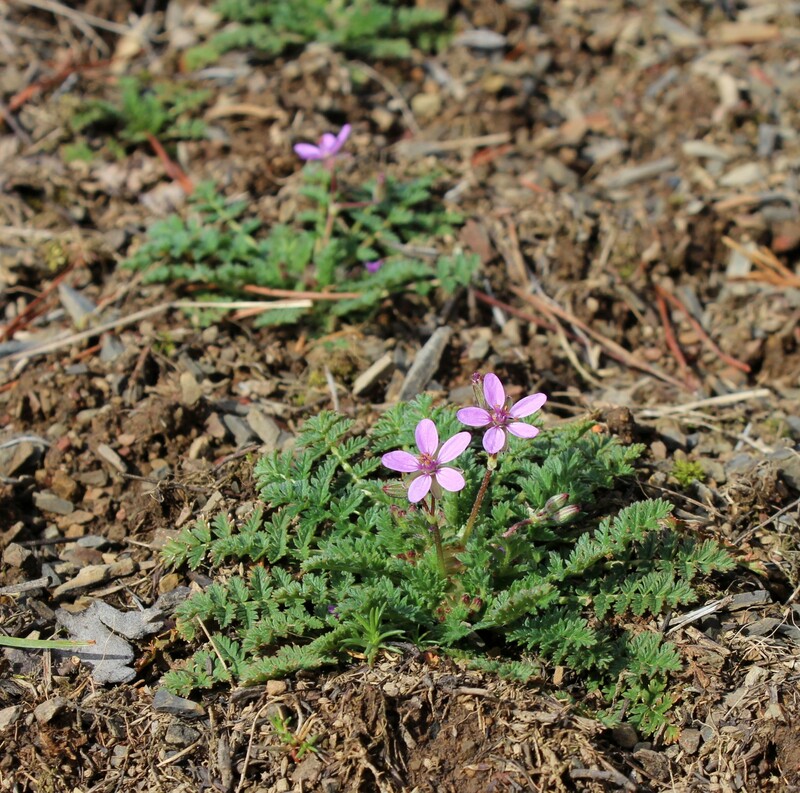 It’s one of the first woodland flowers to bloom, but alas only a couple of these plants were seen flowering. On many previous trips to the state park I had seen what looked to be a very old cemetery, so this time I pulled over to investigate it on foot. Passing by in a vehicle you could see the old headstones are very different than what is used these days. They had more character and style, right down to the style of lettering that was etched into the stone. 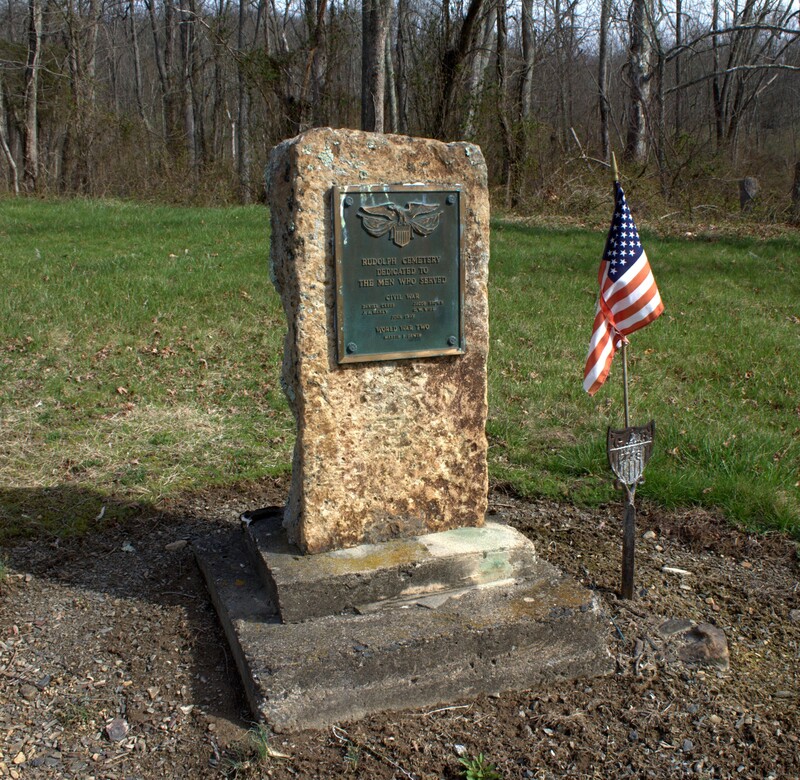 A monument to the old cemetery had an American flag and a GAR sign struck in the ground. 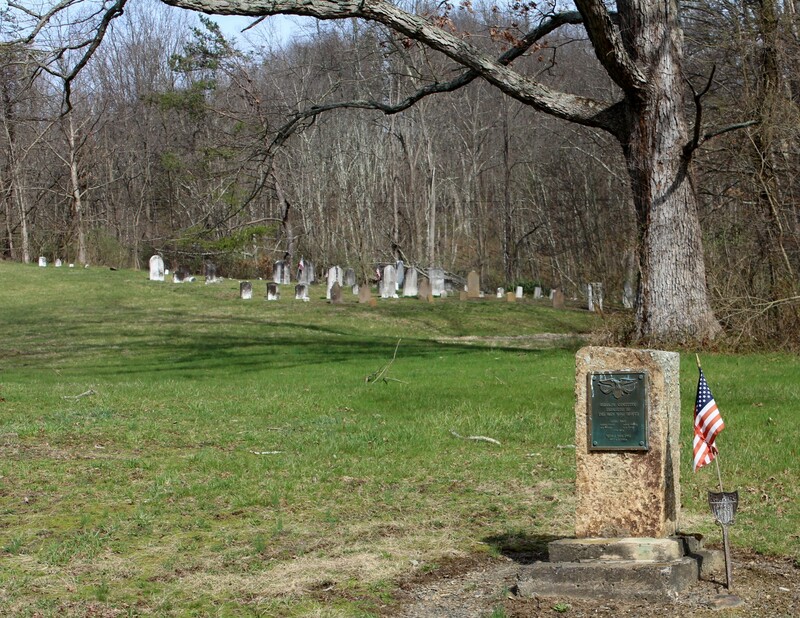 The monument reads, “Rudolph Cemetery Dedicated to The Men Who Served” and goes on to list five local men who died during the American Civil War and one who died during World War II – and are buried at this cemetery – some with wives or other family members. I walked around each grave to read the names and imagine what their lives were like so many years ago. Of course I was looking for the oldest grave there. 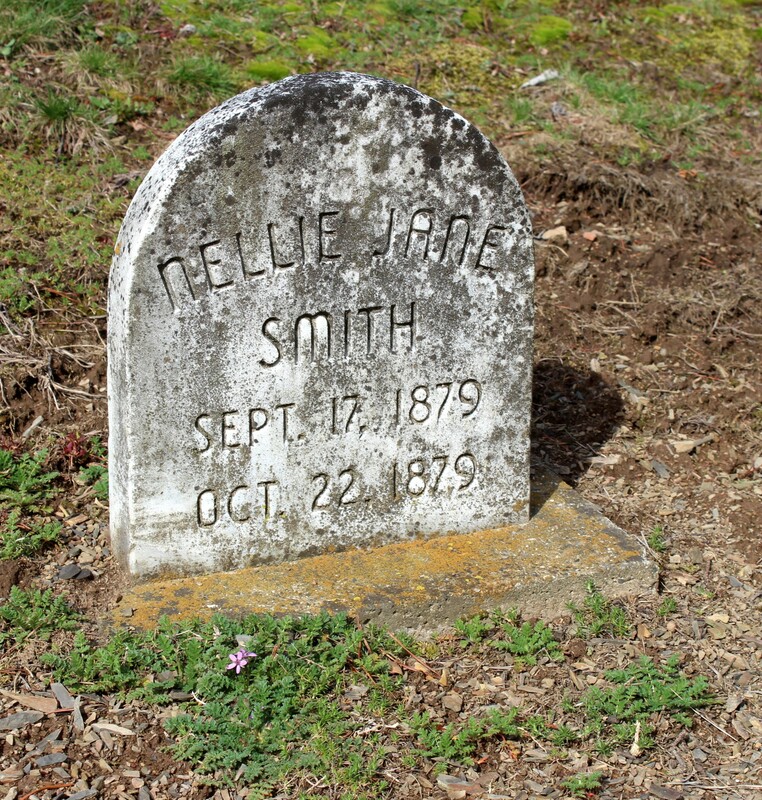 It turns out that a couple were born in 1780-90 and perished around the time of the Civil War. In taking this somber walk around I was delighted to find a new blooming plant – new to me of course. I’d never seen the pink flowers of this low-growing plant before. Only one or two flowers were blooming on each of several plants growing in the soil on this hillside cemetery. 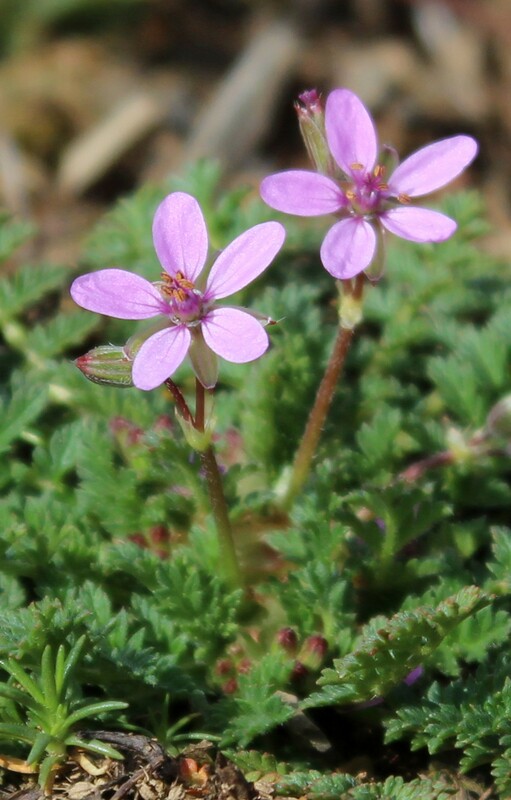 Five pink petals on flowers rise up on a hairy-sticky flowering stalk from the center of a flattened rosette of leaves. Fern-like leaves are actually pinnately-compound and low-growing in this location. 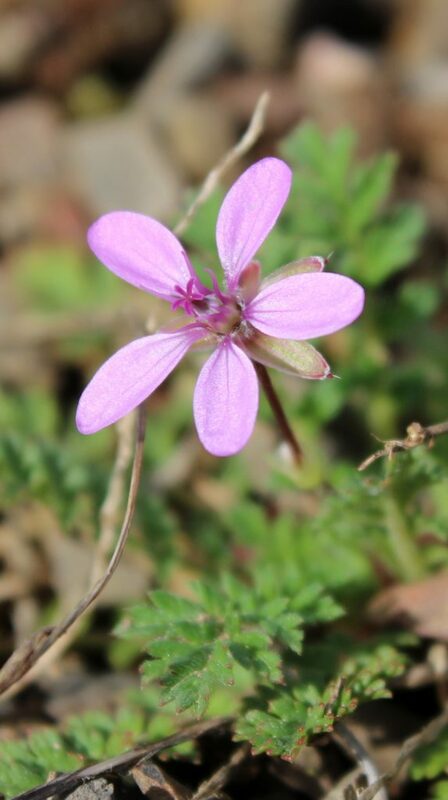 According to Peterson’s Wildflower Guide my new pink flower is called Redstem Stork’s Bill, Erodium cicutarium, and it’s a member of the Geranium Family, Geraniaceae. Being an Old World flower it’s alien to North America and labelled an invasive weed in many of our states. It would be interesting to see the seeds of this annual later in the year. When they’re ripe the storkbill-shaped and pointed seedpods burst away from the plant in such a way as to spread the seeds in the air. Part of the seedpod has elongated hairs that function as a sort of parachute and other sticky hairs help to spread the seeds wide and far as they hitchhike on animals. Birds and other animals may be interested in storkbills as the whole plant is edible. According to Edible Wild Plants of Eastern and Central North America the young leaves can be added to salads or used as a cooked green after boiling in water for 10 minutes. In folk medicine a leaf tea has been used to induce sweating and as a diuretic. As a source of Vitamin K it may alleviate uterine hemorrhage. Leaves have been steeped in bath water to aide rheumatic patients. It would be interesting to trace the modern evolution of folk medicines like these mentioned in Medicinal Plants and Herbs. Has the research been done to show any of these practices are effective? By the way an interesting thing came to mind when wandering around that old cemetery: Why don’t we use footstones any more? 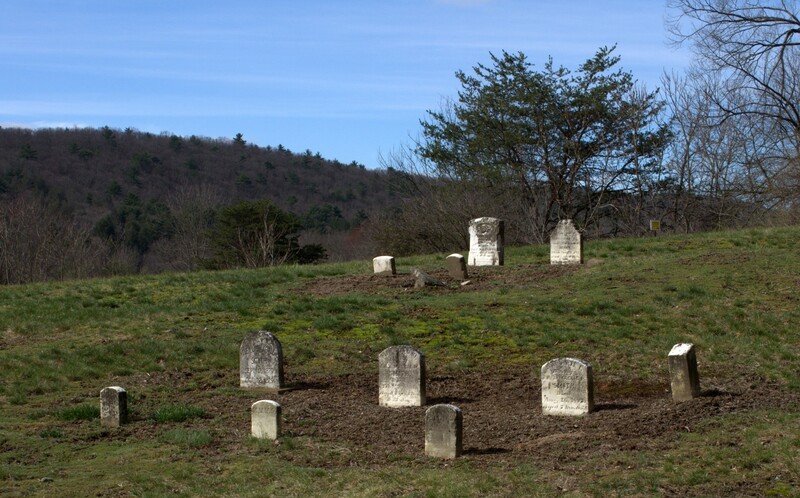 Many of the footstones in this Civil War era cemetery had engraved initials that matched the person’s name on the headstone. Anyway, I’ve made a mental note to return to the cemetery later this spring to see how the Storksbill plants have grown. Stay tuned!